BOSSTICHI – THE END OF TIMES – LTD EDITION 18 TRACK CD SIGNED & NUMBERED – 50 ONLY! – Here it is! The 6th solo release by Pop Artist and ex-Beatings/Treasure Island frontman Adam Turkel. 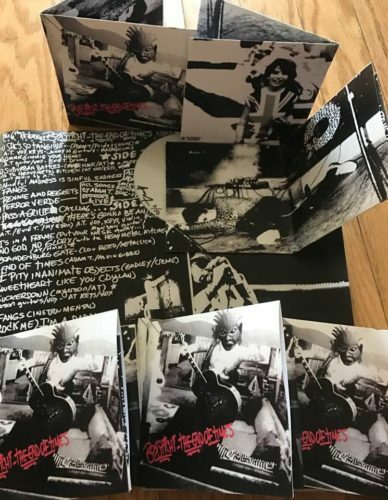 This release is limited to 50 copies and ranges in style from New Wave DIY Punk Rock to Peter Laughner style acoustic ballads to full on avant garde freak outs! Bosstichi’s best release yet. Features guest appearances by Blues Lawyer and Pride & Shame. Covers of classic deep cuts by Bob Dylan, Lou Reed/Metallica, and Godley & Creme!